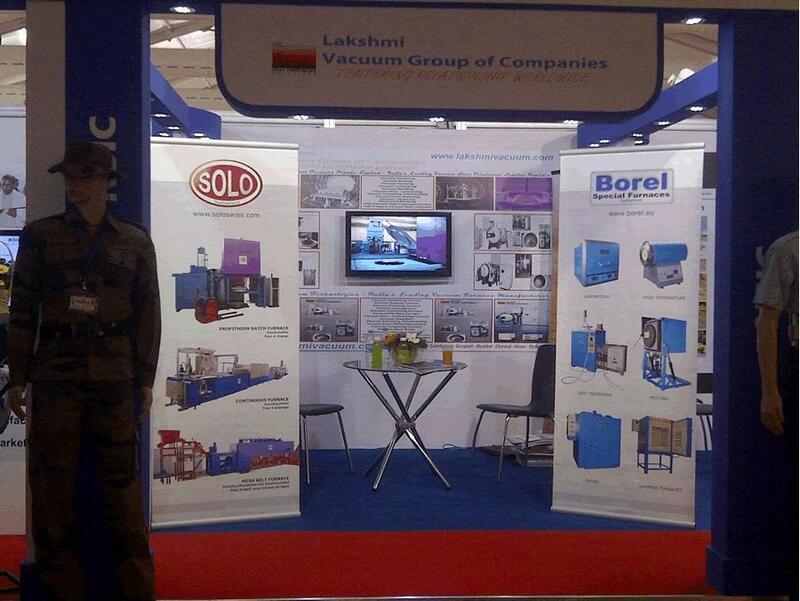 SOLO Swiss Group proundly announces it’s collaboration with the company «Lakshmi Vacuum Technologies» as an authorized sales and service partner in India. The collaboration has been made public on Feburary 6th by an announcement at the 2013 Aero India Exhibition. Furthermore the SOLO Swiss booth had been inaugurated by the Minister for Micro, Small & Medium Enterprises of India earlier that day. 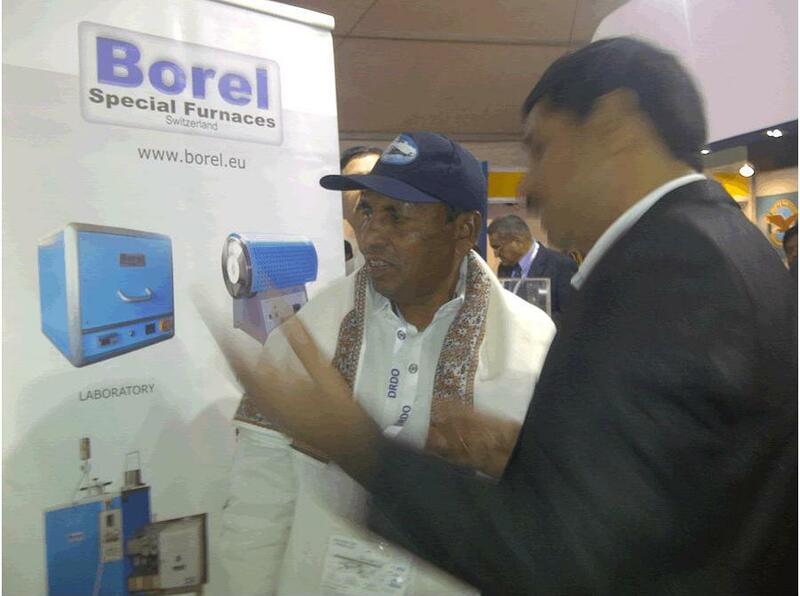 SOLO Swiss Group has decided to sell their Profitherm Line multipurpose atmosphere furnaces in India. The latest collaboration between SOLO Swiss Group and Lakshmi Vacuum Technologies has made it easier for the SOLO Swiss furnaces users to avail the after sales service within minimal time. Established in 2003, «Lakshmi Vacuum Technologies» is renowned as a trusted manufacturer and supplier of quality Material Vacuum Heat Treatment Solutions. Furnaces are fabricated using high grade raw material from trusted and certified vendors in the industry. To ensure flawless product range, highly experienced quality auditors stringently test these products on various quality parameters in compliance with international quality parameters. Products are fabricated in full observance of well-defined industry quality parameters for utmost durability. SOLO Swiss Group, founded in 1945, manufactures advanced industrial furnaces for the heat treatment of metals. SOLO Swiss is one of the oldest furnace manufacturers in Europe and exports its equipment all over the world with a strong presence in Asia. SOLO furnaces are well suited for the treatment of the small complex mettallic parts requiring an enhanced heat treatment and reduced distortion.